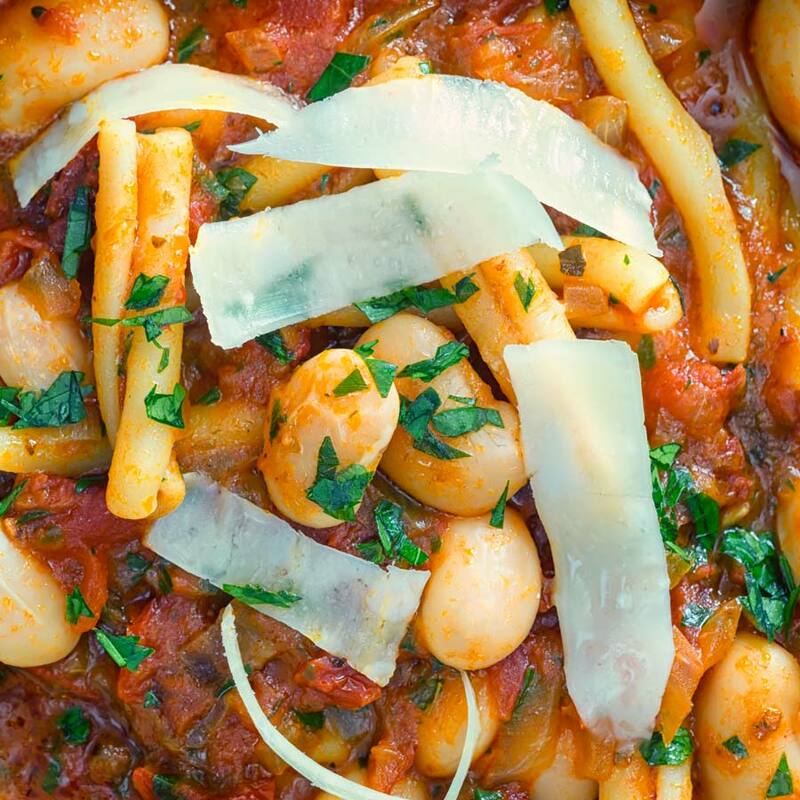 Pasta e Fagioli is an Italian pasta and bean soup or stew. It is wonderfully frugal, hearty and full of great simple flavours. 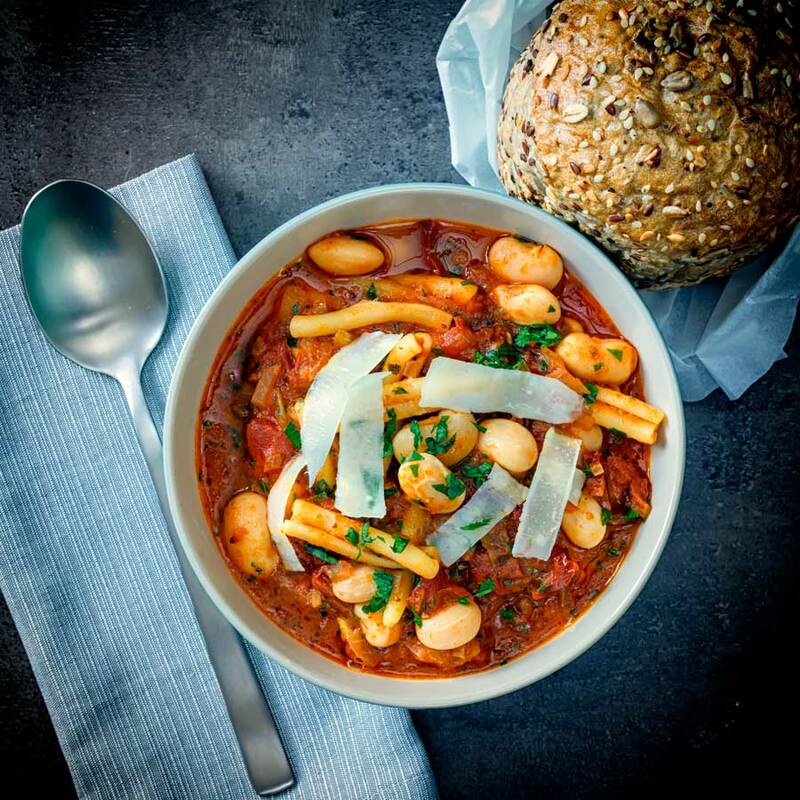 The classic Italian pasta and bean soup, pasta e fagioli is a hearty simple big flavoured soup. 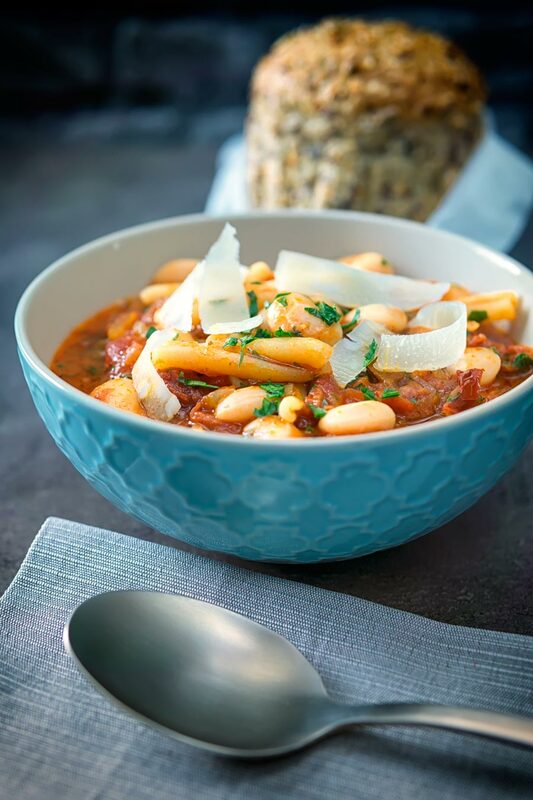 Whether it be a minestrone or ribollita the Italians have a fine portfolio of comforting simple soups. 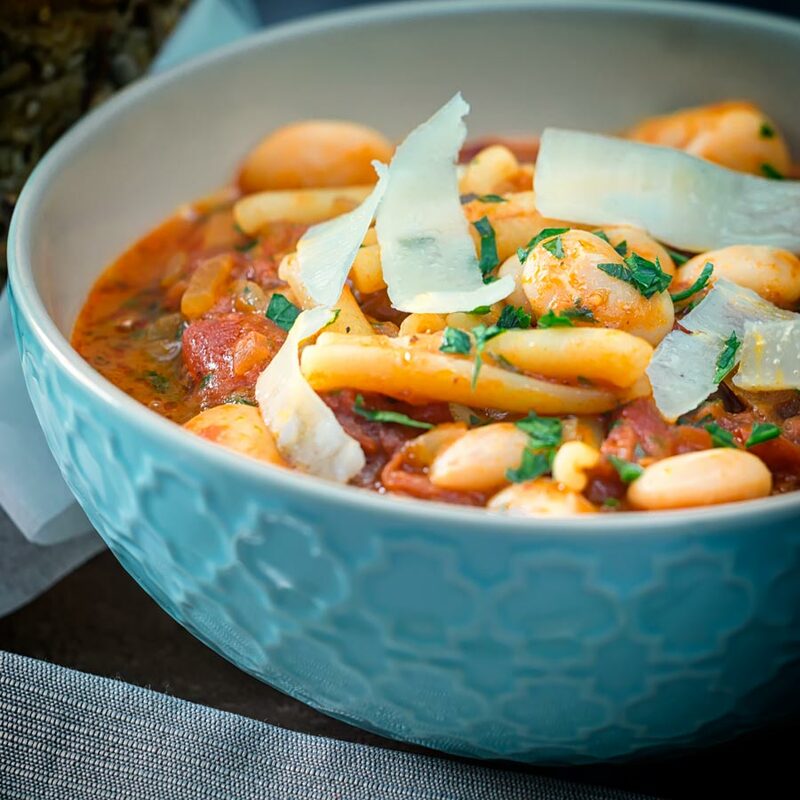 This one is no different, hearty filling ingredients like pasta and beans in a full flavoured tomato based soup. It is gloriously cheap to cook, full of flavour and a proper winter beating bowl of grub. I use a big whack of fresh parsley in my version, but only at the start of the season. Once my parsley in the garden dies back in winter I skip it all together. I typically add dried basil for a slightly different peppery vibe. I genuinely refuse to pay supermarket prices for fresh herbs, so in winter there are no fresh herbs. Simples! My pasta e fagioli recipe forgoes the often common pancetta or bacon and opts for a big savoury hit of anchovy. You can relax it does not make this hearty soup taste fishy in the slightest. It adds a warm right almost meaty flavour, or umami as it is referred to. I use this technique in dishes as diverse as soups like this, through to my veal scallopini recipe to this simple creamy chicken pasta recipe. It is one of those techniques that I picked up and have no idea where from. But it has stick with me and I love the depth of flavour it adds. In case you are wondering I hate anchovies on my pizza, they overpower everything. But used in this way they add to a dish rather than fighting a dish, almost adding a layer of seasoning. I am on a bit of a beany push at the moment, I love cooking with them in winter. They do however need to be looked after! It is often said that dried beans have a long shelf life and it is true they do. But if they are stored improperly you can end up with a batch that will never soften no matter what you do. As far as I am concerned, the only thing worse than uncooked beans is uncooked potatoes. So make sure you know how old your beans are. Store them in dark and cool place and store them in an airtight container. Try not to store them for more than a year without testing them before using. If you have a pressure cooker chuck a handful in with some water and give it a cook for 25 minutes at high pressure. The great thing is about this test is that there is no soaking required. So you can test your beans in half an hour or so, otherwise, you need to soak then cook which can be a pain! Can I Use Canned Beans In Pasta e Fagioli? Of course, is the short answer! However, I will try and persuade you not to. If you want to rework this recipe with canned beans then skip all of the soaking and reduce the cooking time to 20-25 minutes. 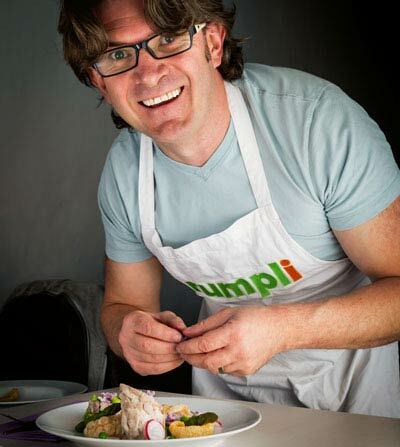 It will change the flavours or more specifically the texture very much. The cooking of the beans in the tomato soup part of this recipe adds a silky finish to the recipe. The starches and proteins from the beans leach into the cooking medium and adds so much. You can fake this to an extent by using some of the liquid from the can. However personally speaking it never quite matches up and the salt content in canned beans adds a level of unpredictability. Soak your beans for at least 3 hours. Bring a pan of water to a rapid boil then cook the beans for 15 minutes. Whilst the beans are boiling slice your anchovies, chop your onion and slice your garlic. Heat a pan over a medium heat and then add the olive oil. Add in the anchovies and cook for a minute before adding in the onion and cooking for a further 5 minutes. Throw in the garlic and cook for a further minute. Now add in the tomato, tomato puree, oregano and water and bring to a simmer. By now your beans should have been cooking for 15 minutes, drain the beans and add to the pan with the tomatoes. Cover and cook on a gentle simmer for an hour. Whilst this is cooking drain your sun dried tomatoes and finely slice. After an hour add the pasta and sun-dried tomatoes and return the lid and cook for 10 minutes or until the pasta is cooked. This is my perfect winter meal! Super warming and filling! It certainly is a fab winter warmer. It’s actually a pretty well-trodden form of seasoning recipes and dates back centuries, it is delicious! This looks like such a hearty and comforting dish! Definitely a winter warmer for these cold months. Brian, this looks totally fabulous ! 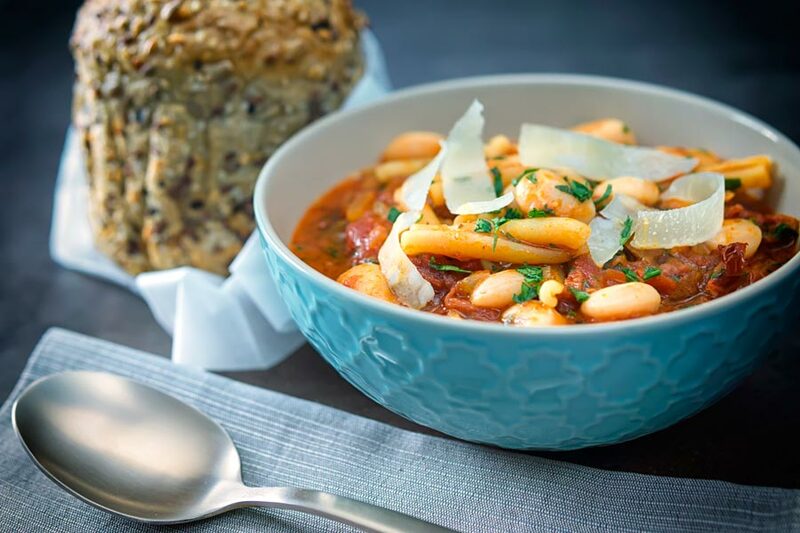 I have always wanted to try Pasta-e-Fagioli, but never have and now I can make my own at home ! You really must give it a try, we love it! Pasta and soup are some of my favorite comfort foods. Loving this recipe and looking forward to using dried beans for the first time.